The family of two political prisoners is facing homelessness now that they’ve received notice that their family home and only remaining property will be confiscated by the Iranian government, their son Iman Sadeghi informed the Center for Human Rights in Iran (CHRI) on March 15, 2019. 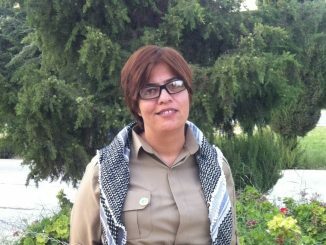 “In addition to our house in Kashan, the authorities have confiscated our shop in Tehran. We have no other source of income. Now they are putting their hand on our house where we live in Tehran and if they take that away from us, we will have to live on the street because we have nowhere else to go,” Sadeghi said. “Since getting the confiscation notice we’ve all been more stressed out and my mind is preoccupied with what to do for my sister and grandmother (who are also living in this house,” he added. 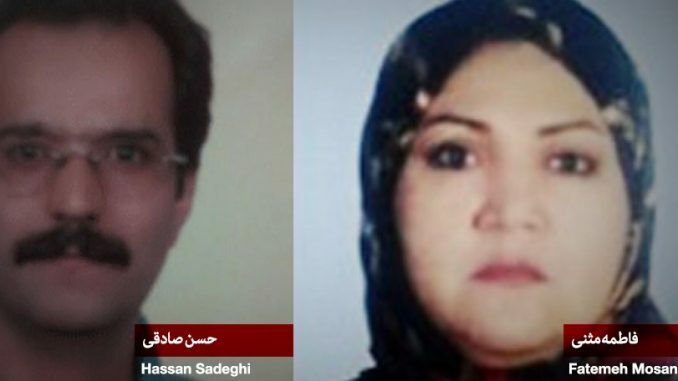 Since 2015, Hassan Sadeghi and his wife Fatemeh Mosanna have been serving 15-year prison sentences after being arrested in January 2013 for allegedly organizing a mourning ceremony for Hassan Sadeghi’s father Gholamhossein Sadeghi, a high-ranking member of the banned Mojahedin-e Khalq (MEK) opposition group, which now operates in exile. Hassan Sadeghi was living in exile at the time of his death. The government has confiscated all of the couple’s properties, including what Hassan Sadeghi had inherited from his father. Iranian law allows the state to confiscate properties under certain conditions, leaving citizens with no means of legal recourse. However, Sadeghi pointed out that the government’s efforts to confiscate his family’s home in Tehran are unlawful. According to the regulations for the implementation of Article 11 of Iran’s Constitution, the domestic properties of Iranian expatriates with proven ties to anti-state groups are subject to confiscation. The regulations add that their heirs in Iran can claim these properties “only if they do not have proven ties” with anti-state groups. Iman Sadeghi, 25, told CHRI his family would become homeless if the state confiscates their home in Tehran. “These properties belonged to my grandfather [Gholamhossein Sadeghi], a member of the Mojahedin-e Khalq, who left Iran soon after the  revolution,” he said. Prior to his current incarceration, Hassan Sadeghi served six years in prison in the 1980s from the ages of 15 to 21 for allegedly engaging in political activities related to the MEK. Thousands of political prisoners with alleged links to the MEK were executed without trial during the 1980s as the Iranian government worked to eliminate the group. During that time, Hassan Sadeghi’s wife Fatemeh Mosanna and her mother Ferdows Mahboubi served two and four years in prison respectively while Fatemeh’s brothers—Ali, Mostafa and Morteza Mosanna were executed, all for the charge of “collaboration with the Mojahedin-e Khalq. People continue to be imprisoned under lengthy prison sentences to this day in Iran for allegedly maintaining active links to the MEK. Iman Sadeghi also told CHRI that his parents are being denied medical treatment. Iman Sadeghi said that most of his parents’ medical problems are related to the imprisonment and torture they endured as political prisoners in the 1980s. He said that his father was whipped with cable wires on the soles of his feet and lost partial vision and Mosanna suffered serious psychological problems that linger to this day. 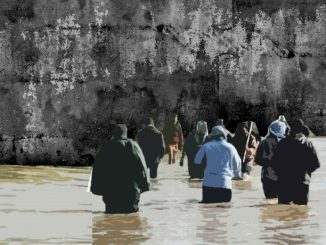 Government confiscation of properties belonging to political prisoners including religious minorities is not uncommon in Iran. The confiscated properties included a 5.4-acre orchard, 3.7 acres of agricultural land, and a 50 percent share of their polyethylene plant in the city of Sardasht. In July 2016, the largest Persian-speaking Protestant community in Iran, Jama’at-e Rabbani, announced that it had been stripped of its ownership of Sharon Gardens, a large and valuable piece of real estate in the city of Karaj, by an organization operating under the supervision of Supreme Leader Ali Khamenei. 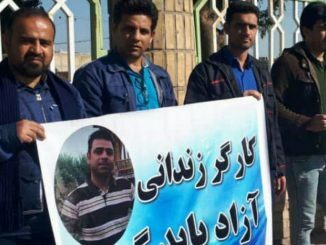 Two months earlier, a member of the persecuted Baha’i faith, Ziaollah Motearefi, detailed how the Iranian government had confiscated 50 hectares of his land in an interview with CHRI.